New West Craft is a handmade market hosted by the Arts Council of New Westminster. New West Craft aims to provide a welcoming environment for crafters, artisans and makers to share their work with the community. The Tinypreneurs event is a unique, innovative, philanthropic, and educational experience, for children as young as 7 years old to be exposed to the world of an entrepreneur. It will allow children and their entire family to explore and embrace the benefits of entrepreneurship from an early age, as well as showcasing their talent and creativity. 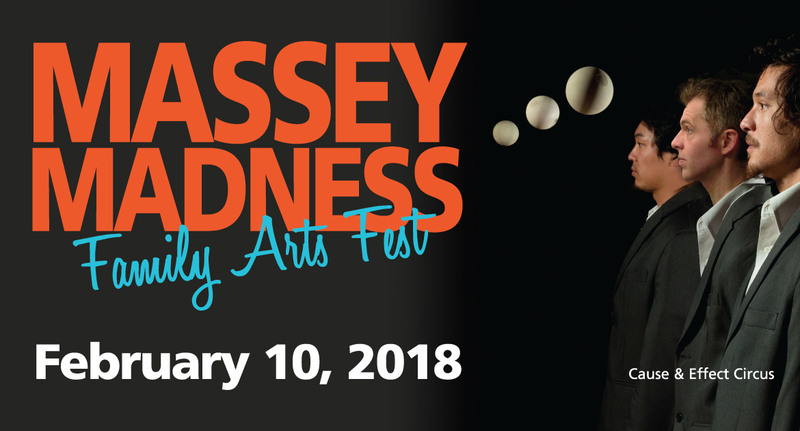 At Massey Madness, children and families will have a chance to learn more about Tinypreneurs, and sign up for the 2018 Spring Break Tinypreneurs workshop to take place at Massey Theatre. Arts Council of New Westminster brings their fantastic interactive arts and crafts table for kids. Explore! Learn! Enjoy! Young writers share their work. Culture Conversations is a human library style event where you can talk to fascinating people from the community and learn about the varied ways that arts and culture have impacted their live, and how they live their most creative life. Conversation partners include professional artists, arts workers, and arts lovers from all sorts of backgrounds. Each session will feature different conversation partners, so come back and talk with all of them. Travis Bernhardt proves that Magic isn’t only fun for kids. Experience the wit and magic of this 2017 Pick of the Fringe winner up close and personal before seeing him perform on the Massey stage in the evening. Travis moves through the crowd performing for small groups, drawing people together, creating a buzz—breaking the ice between strangers and giving friends new stories to tell. Contact the Massey Box Office to order tickets by phone, for showtimes, ticket prices and event information. Phone: 604-521-5050 Email: admin@ticketsnw.ca Hours of Operation: Tues - Sat: 12 - 6pm *closed from 2 - 3pm *also open one hour before performance start time for door sales and Will Call.